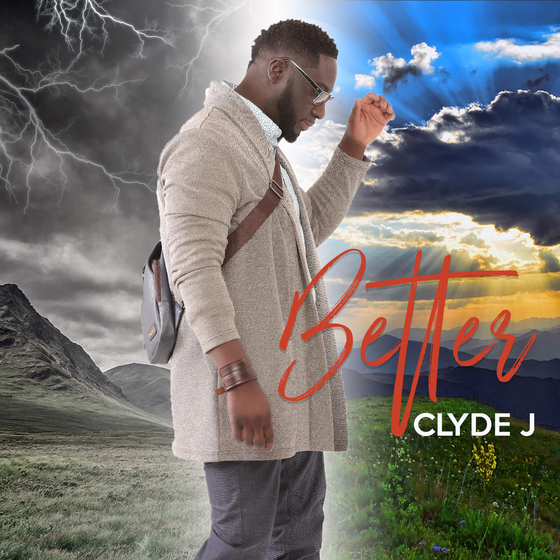 Singer Clyde J Releases New Single “Better” | LISTEN! Louisiana’s Neo-Soul Gospel artist CLYDE J is a up-and-coming singer and songwriter who shows power, passion and perseverance in his music. In this competitive music industry, Clyde J is pressing to break through and become a mainstay in music where so many indie artists cannot sustain or endure. Clyde J released his “What I Need” single and music video in December of last year and has an all new single “Better” that continues to set the singer on course for longevity in music and ministry. “Better” is Clyde J’s anthem for pushing through tough times in life and leaning on the Father who will make all things better. Clyde J offers “Better” to listeners as a weapon in taking back their power through Christ. “So many times our situations, struggles, and circumstances strip us of our power and faith. This song puts the listener in the position to drag all those issues into the presence of a holy God who makes everything Better and all things new,” Clyde J proclaims. The “Better” single is the title track to his forthcoming album BETTER and is available now on all digital music outlets and streaming sites. The public is invited to attend “PRESENCE OF BETTER: An Evening of Passion and Praise” concert featuring Clyde J. Alicia Hardy-Montgomery and Marty The Greatest. The event will be held Saturday July 14 at 3:00PM at El Bethel Worship Center in Slidell, LA. This is a free event.